Regarded as one the worst filmmakers ever, Ed Wood’s films went from being called trash during his career to becoming beloved by many cult film fans. The same is unlikely to be said of Lawrence Fowler’s Curse of the Witch’s Doll, which is a masterpiece of bad cinema. Scary dolls and puppets aren’t anything new, beginning as early as 1945 in the anthology horror film Dead of Night. From there, we've seen ventriloquist dolls, puppets, and other forms of dolls and toys come to life to terrorize their poor victims. Fast forward to the past couple of years, the success of Annabelle and Annabelle: Creation meant it was obviously only a matter of time before some type of Annabelle knockoff looked to piggyback off of the franchise’s success. And that brings us to Curse of the Witch’s Doll, a dreadful piece of filmmaking that fails to scare or entertain its audience. 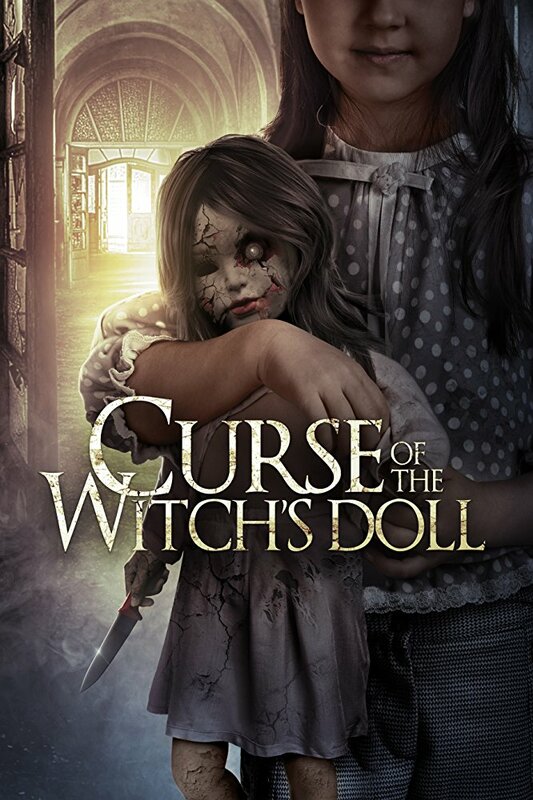 Adeline Gray and her daughter move into a large manor during World War II, only to discover that a doll in the manor is possessed by a witch who was burned alive in 1660. When her daughter goes missing, Adeline must find a way to conquer the evil and the murderous doll. This type of story hinges upon either being truly frightening or somewhat comical. Look at some of the other successful films that involve dolls coming to life; Puppet Master was both frightening and humorous at times, Dolls was also scary and funny, Dead Silence was fear inducing, and the Chucky franchise began as a straight horror series and slowly became more ridiculous and satirical along the way. Curse does neither. It is definitely not scary, and it is does not contain any bit of humor. Fowler chooses to play the story straight and serious, expecting that the audience will be frightened by this demonic doll. 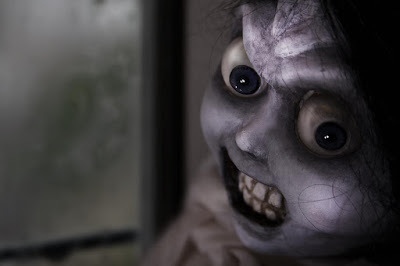 The problem is that the doll is not frightening at all, instead it looks like something that was created as a joke. It almost resembles one of ventriloquist comedian Jeff Dunham’s puppets or props. That’s how ridiculous this thing looks. On top of that, the doll barely does anything. Besides being found sitting or lying around somewhere, it only creepily turns its head when we see it come to life. There is also one VFX sequence where the doll shows off some sharp teeth. The rest of the time, slammed doors and broken objects are used to imply the doll’s presence. They also add in a spooky score in an attempt to induce a mood of fear, but it just doesn’t work. Then the story produces a huge plot twist, which is supposed to shock and impress the audience. At that point, I was thinking that the movie was over and was happy to have made it all the way through. Sadly, that twist is just past the halfway point of Curse, forcing the viewer to endure around another forty more minutes. It’s a true exercise in futility. Even after all of that, it refuses to end and continues on with another extra sequence that runs way too long. The acting is not necessarily poor, it’s just thoroughly underwhelming. Helen Crevel portrays the mother Adeline and the performance that she gives when her daughter goes missing is so ambivalent, she doesn’t cry or get overly emotional like you would typically expect in that situation. It's an odd decision made by the actress and the director. The special effects makeup looked good, but it was featured in maybe three short scenes. The best part of Curse had to be the location where they filmed, a large old manor that contained a nice selection of old furniture and props. Overall, Curse of the Witch’s Doll is an epicly bad picture that is unlikely to impress or scare anyone. If you managed to watch it all the way to the end, the only thing that you’d want is your 90-plus minutes back.